Budget Trouble, Budget Travel, Whatever...: Let's go out and make a snowman! Seriously, it was a cold day today and I have the worst case of hay fever known to mankind. I wear a mask EVERY year from about March to October. This year I feel like scratching my eyes out and permanently lodging an asthma inhaler in my lungs. 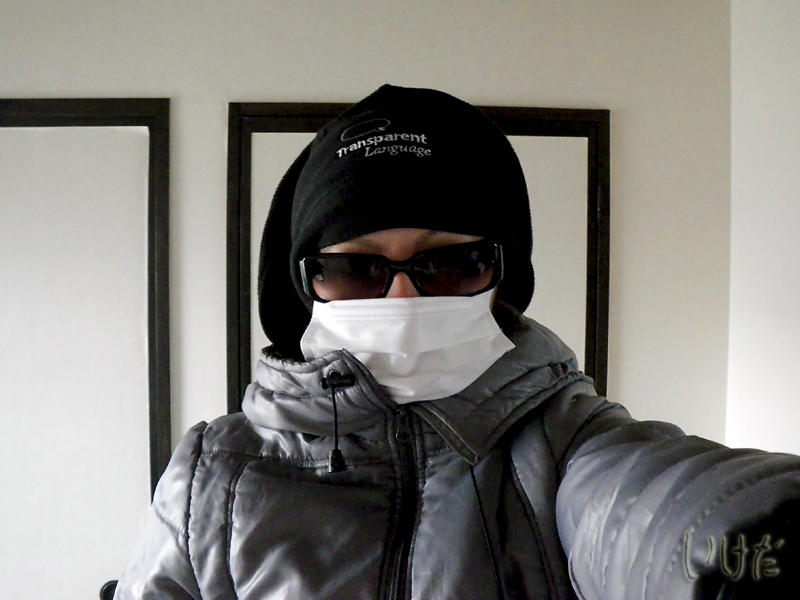 The face mask is NOT to protect me from radiation, but to save me from a certain death by pollen. In other news, I managed to buy toilet paper today. Yay me!